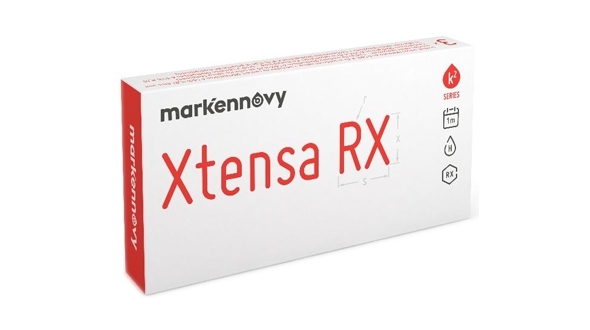 If you are looking for quality at a good price do not hesitate to buy contact lenses Mark Ennovy Xtensa, a vision experience like never before. 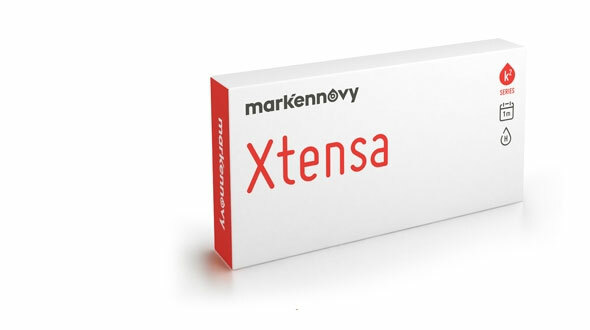 Xtensa is a brand of contact lenses made monthly by the important national contact laboratory MarkEnovy. Monthly disposable contact lens designed for all audiences with a patented system of individualized manufacture of micro-precision molding. Where every detail counts. Ideal for the most dynamic and carefree users. It is equipped with a unique patented micro-precision molding system. Its fully automated manufacturing chain allows you to achieve a perfect lens. Each lens is treated individually during the entire production process, which allows optimal reproducibility of each lens and almost no rejection when it comes to quality control. A reduction in the manufacturing cost that is reflected in the selling price. Xtensa : monthly lenses that correct myopia until -8.00 and farsightedness up to +6.00. Its aspherical front surface offers an excellent vision and great definition. It is presented in a format of 6 units per box. Toric : monthly lenses that compensate for myopia, hyperopia and astigmatism. It is a very stable lens in the eye, that is why great perfection is achieved in the vision of images and straight lines. Format in boxes of 6 units. Toric RX: is a special lens to correct high astigmatism up to -5.75 diopters. Format in boxes of 3 units. Multifocal : Ideal for people with presbyopia, correcting myopia, hyperopia and tired eyesight. They provide the patient with great vision both far and near. 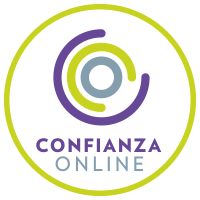 Maintenance: these online lenses require daily cleaning with a single solution or peroxide. This process is very important to avoid deposits on the surface of the lenses that may be harmful to the eye. Xtensa includes in its material a blue handling dye that facilitates its handling, since it makes them more visible inside the lens case. What are the advantages of using Xtensa monthly contact lenses? Every new, cheap new lenses, we reduce the risk of accumulated deposits on the surface becoming denatured by time and damaging to the eye. The graduation is always updated. If a lens is lost or broken you can use a new lens without waiting for its manufacture. Ideal for dynamic and casual users. If you can not find the cheap lenses you are using in our online store, do not hesitate to contact us, our team of professionals will be happy to assist you. Enter Prodevisión and get to know Xtensa contact lenses. 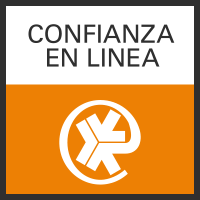 Buy Xtensa cheap contact lenses in Prodevisión quickly and with secure payment.